Karolina Rose really has a story like no other. Once upon a time, Karolina was making serious coin at her big Wall Street job and the Polish-American was pretty much living the American Dream when it came to financial freedom. And yet, although unrelated, nightmares haunted Karolina every night. Like millions more out there, Karolina was pouring herself into a job that didn’t connect with the passions lying in her soul. Music was Karolina‘s one true love and she wasn’t committing herself to what had made her feel so truly alive since she was a child. So, after careful deliberation, Karolina traded the rigid unfulfillment of her stable Wall Street career and lavish Manhattan lifestyle for the indie musician life and Bushwick, Brooklyn’s working class neighborhood. Despite a great reaction to her first song ‘Move With Me‘ early last year, Karolina embarked on a creative break from releasing new music – until now. 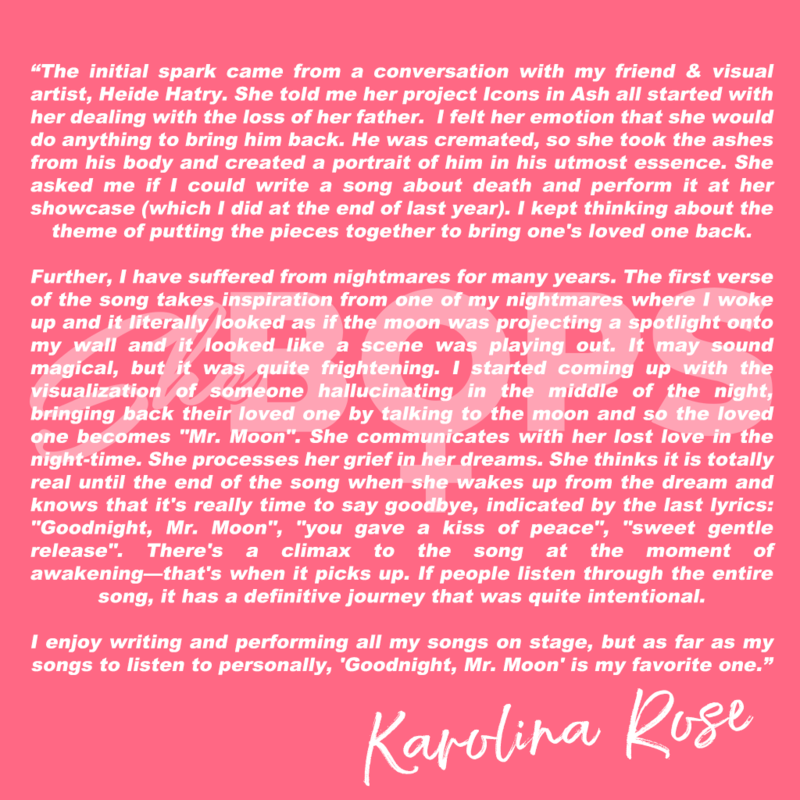 ‘Goodnight, Mr. Moon’ is Karolina‘s exquisite Komeback single which, through its celestial sounds, tells the tale of coping with the grief that haunts you after the loss of a loved one. 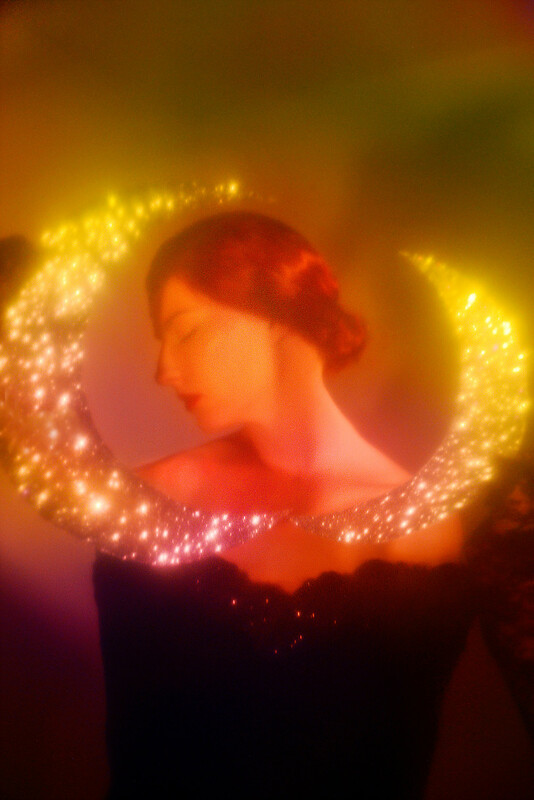 “Violent dreams, they haunt me / Waking up to a moonlit night / Keep blinking my eyeballs / See a spotlight on the wall” Karolina airs over a soothing arpeggiated synth, warming pad chords and powerful bass kicks. 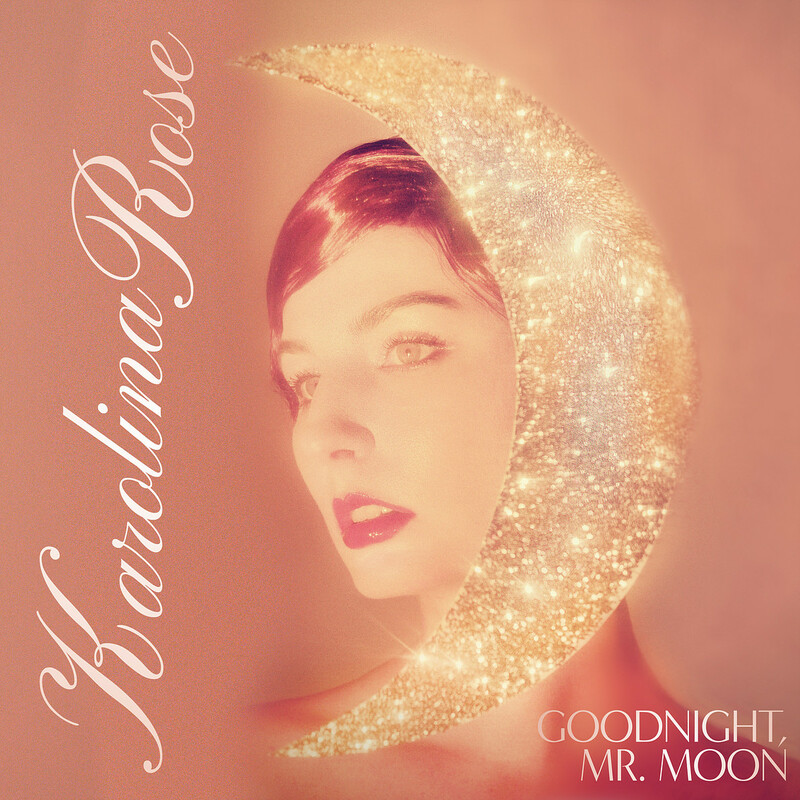 ‘Goodnight Mr. Moon’ is the first bop from Karolina‘s debut EP, which she plans to drop in August. Although K-Rose hasn’t confirmed a track list yet, you can absolutely expect a collection of pure BOPS thanks to the EP’s production courtesy of the legendary Andros Rodriguez; from Shakira, Christina Aguilera and Whitney Houston to Girls’ Generation, Santigold and Kelly Clarkson, Andros‘s portfolio is essentially the Who’s Who of iconic pop music – and now he adds Karolina Rose to that list. 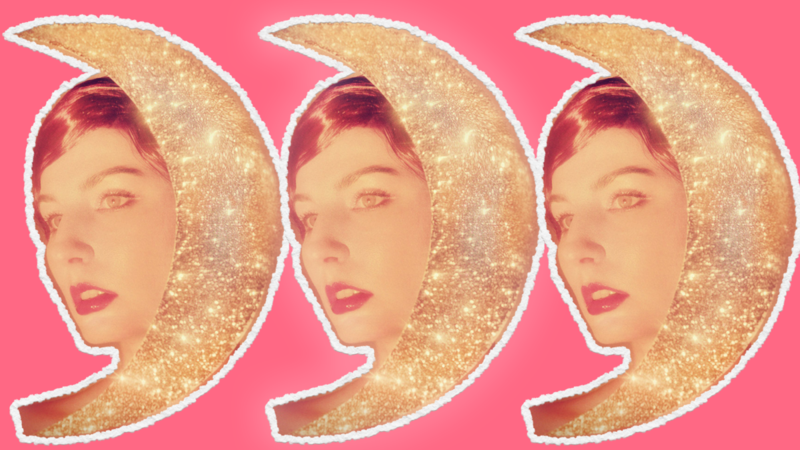 Will the budding Karolina be next with her dreamy synthpop? Only time can tell.